Outsourcing Pros and Cons | 8x8, Inc. When a company is just starting out, outsourcing can help it gain traction. There are many other reasons to outsource but there's a balance to maintain as well. Too much outsourcing will basically create a shell of a company with no culture. Outsourcing can be done at an individual level, such as hiring a contractor, or at a company level, such as paying for unified communications services. To get a better understanding of what outsourcing is all about, let's take a look at a few outsourcing pros and cons. We'll start with the positives to outsourcing, of which there are many. Hiring people that are experts means competing in the open market. Experts, because of their level of knowledge and experience, are difficult to find. They don't have a difficult time looking for work because there is someone always wanting an expert. Experts also cost a lot to hire. Instead of hiring an expert internally, you can contract them. Contractors don't stay at companies as long as employees do, making the pool of available expert contractors larger than that of employees. It is often easier to hire an expert as a contractor than it is to hire an expert as an employee. If you want to set up a PBX (private branch exchange) on-site, you'll need people who can install it, maintain and upgrade it as well. This not only gets expensive but time-consuming. 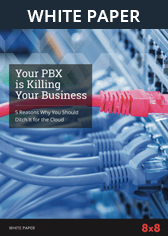 Outsourcing a PBX as a service is now common and removes the distraction of maintaining all the related hardware. If you had to hire people for everything that your company does, you'd probably never generate a profit. The good news is that you don't need to hire so many people. Much of what isn't within your core competency can be outsourced. If you are a small doctor's office, coding your own billing software and managing account receivables is probably not part your business' mission statement. Instead, you can subscribe to accounting software as a service and outsource your accounts receivable to a medical billing company. Employees are often the largest expense a company has. There is also debate about how productive someone can be for eight hours straight. Rather than hiring too many employees, which will compress your margins, look to outsource as many of them as you can. Outsourcing various kinds of work means paying only for what you need. The savings usually greatly outweigh the cost of employees. If you have a need for people to be available 24/7 in multiple time zones, maybe for round the clock tech support, outsourcing is your answer. You can pick and choose people from different locations and have them up and running in no time since they will already have the necessary training. There are many reasons why companies like to keep control of all aspects of the business. But the most common one is for consistency. Outsourcing means giving up some of this control. Because of time differences, different countries and remote work, it can be difficult to ensure procedures are followed exactly. Outsourcing often means choosing people in another time zone and sometimes a completely different country. If you're in the US and your software development team is in India or Russia, real-time communication may mean brief moments at the very end or beginning of the day. If real-time communication is a high priority, choosing people in the same or near time zones is a must. When all of your employees are in-house, it's easy to maintain a specific type of company culture. That kind of conforming is difficult to achieve with contractors who may never see or even talk to each other. Outsourcing has many positive benefits including lower cost, ability to hire expert help and offloading high-cost hardware onto services. But don't forget to consider some of the downsides that you'll need to be aware of as you begin the outsourcing process.